Michael O'Halloran's fourth goal of the season saw St Johnstone maintain their winning start to the Ladbrokes Premiership with a 1-0 success over Partick Thistle. O'Halloran lit up an otherwise scrappy encounter to notch for the fourth time in just three league games since re-joining Saints to leave Tommy Wright's side with a perfect record after three matches of the season. 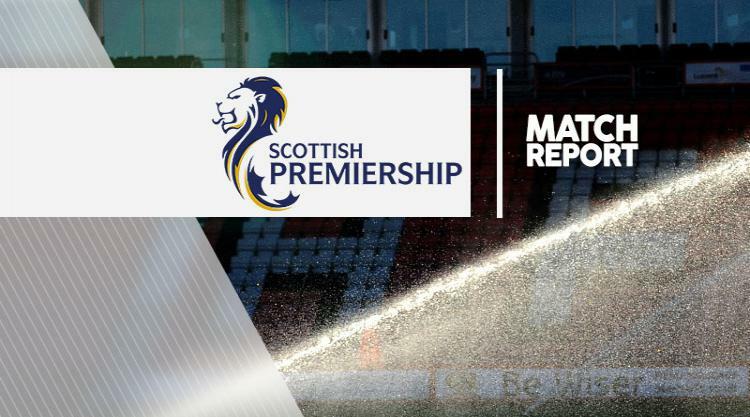 Thistle have a good record at McDiarmid Park - including a 3-0 win in the Irn-Bru Cup last week - and the hosts paid them respect in the opening minutes, retaining a solid defensive shape and going long with the ball. However, after a slow start, it was Saints who went close first, with goalkeeper Tomas Cerny called into action in the 13th minute. Richard Foster swung in a free-kick from deep and found skipper Steven Anderson, whose volley was blocked into the path of Joe Shaughnessy but the defender poked straight at the keeper. Thistle, who seemed intent on roughing up the hosts, slowly grew into the game and fashioned a similar chance shortly before the half-hour mark with full debutant Myles Storey influential. The stocky striker broke down the right wing before squaring to Chris Erskine, but the wide man could only shoot straight at Alan Mannus, who fumbled before Anderson hacked away. St Johnstone were forced to withstand pressure and a nervy crowd before O'Halloran popped up to break the deadlock in the 33rd minute. After being marginalised on the left wing, the on-loan Rangers man drifted infield unmarked and was found by a precise through ball from Anderson. O'Halloran took the ball in his stride before firing in off the far post from just inside the area to continue his impressive start to the season. The goal sparked the midfielder and his side into life, and the lead could have been doubled two minutes later when he danced into the area down the left and squared the ball for Steven MacLean, but the striker's effort was well-saved by Cerny. O'Halloran then had an effort blocked from 25 yards before he was cynically brought down on the counter-attack by Stephen Lawless. MacLean missed two more chances after the break before Mannus was called into action at the other end to deny Lawless after he had been teed up from outside the area. Niall Keown had shouts for a penalty waved away after claiming he was held back inside the six-yard box while O'Halloran almost secured the points as he cut in from the left before firing high and wide with just the keeper to beat. Keown almost caught out Mannus with a speculative long-range effort with 15 minutes to go and Storey curled wide as Saints held on to keep pace with Celtic at the top of the table.